Mayday Parade was born in 2005 when two popular Tallahassee bands, Kid Named Chicago and Defining Moment, decided to merge and form one group. Both bands had been friends for a long time but they each seemed to have different kind of holdups. They pooled their resources, booted out the undedicated members and decided to take the good from each band and move forward. 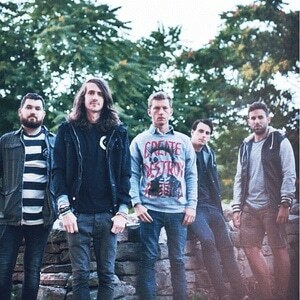 Armed with a dynamic lead singer Derek Sanders of Defining Moment, Mayday Parade explodes with energy and personality.